Composed the professional darkfield kits with the advanced biological microscope BM200, it becomes the darkfield microscope.it is easy to change bright field obervation into the darfield observation. It is a simple procedure which can be used on live transparent specimens, specimens which normally need to be stained (and therefore killed).you can use the dark field in the research of live bacterium, as well as mounted cells and tissues. It is more useful in examining external details, such as outlines, edges, grain boundaries and surface defects than internal structure. 4. Professional darkfield condenser, and darkfield 100x lens with cone diaphgragm. 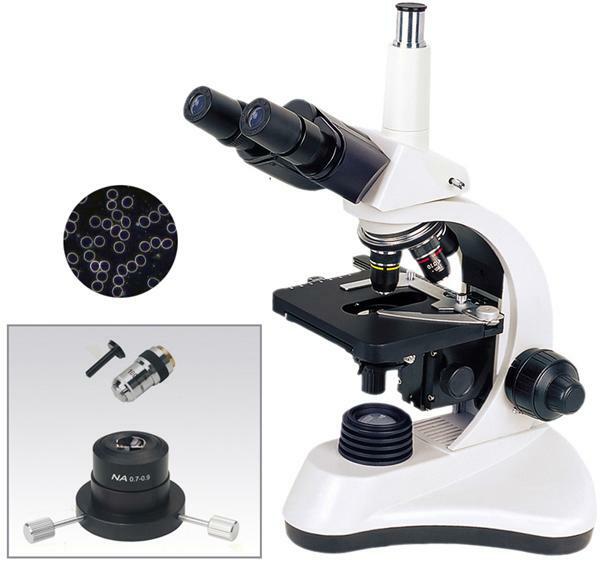 This darkfield and brightfield binocular compound microscope is designed for clinical examination and teaching demonstration in medical field, veterinary offices, laboratories and colleges. 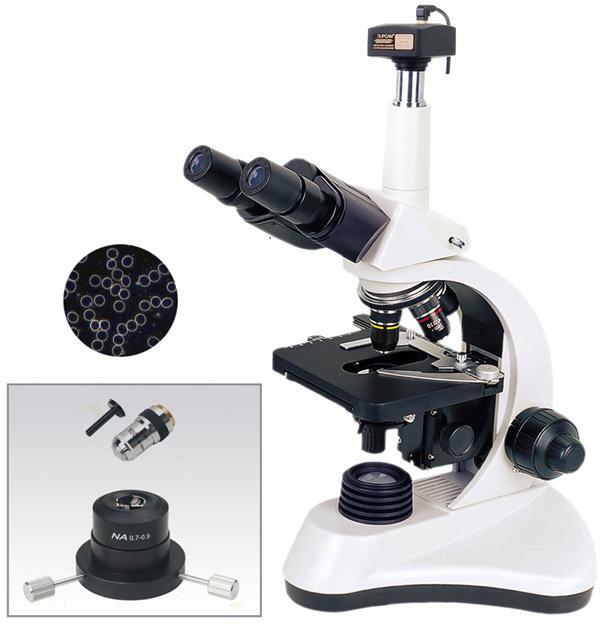 It is a simple procedure which can be used on live transparent specimens, specimens which normally need to be stained (and therefore killed).you can use the dark field in the research of live bacterium, as well as mounted cells and tissues. It is more useful in examining external details, such as outlines, edges, grain boundaries and surface defects than internal structure.